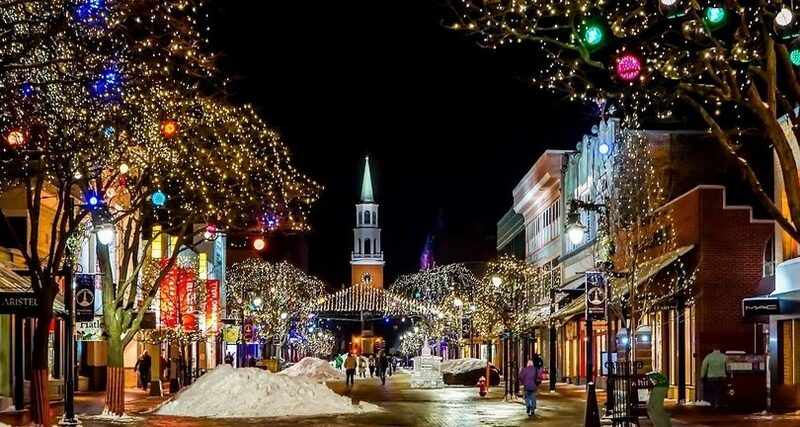 If you are person responsible for your church’s website, hopefully you have information about your church’s Christmas Eve services (and Christmas services if you have them) on your church website. There are a few of things about the search results I find noteworthy. See the paid ad for Harborside Church which appears above the map? I don’t know how much they have budgeted for ads, but it’s probably a very cost-effective way to connect with people who are actively looking for a Christmas Eve service. 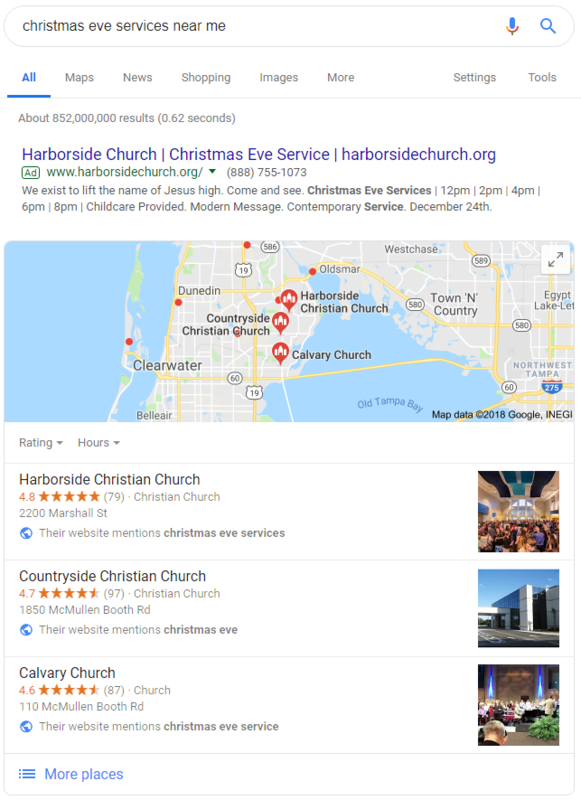 Below the map, in the “local 3 pack” notice below each of the churches listed it says, “Their website mentions Christmas eve services.” This tells us that Google is not just using data from Google My Business listings, but it’s also using data from their websites. I took a moment to compare these results to the results for “churches near me” and the difference is striking! I checked both of those churches’ websites. Bayside has both a graphic and text with Christmas Eve service times on its website. Harbor Life has a graphic in its image slider (though no text) on its homepage with Christmas Eve services times. So, why weren’t they included in the “Christmas Eve services” search result? 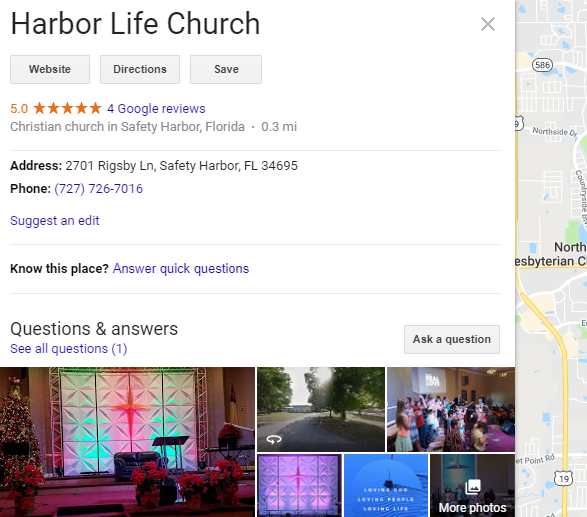 When I clicked in and looked at Harbor Life Church’s Google My Business listing, I noticed there is no website listed. 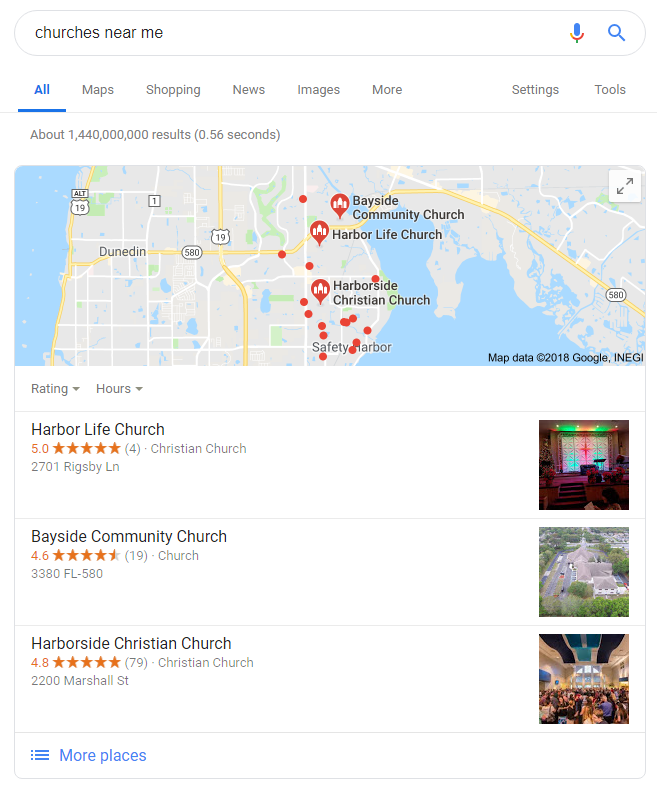 This is another example of why it’s so important to create, claim and optimize your church’s Google My Business listing. If you’d prefer not to do this yourself and would like some help from our experienced church SEO experts here at OurChurch.com, let’s schedule a free phone call to discuss that. Blessings to you as you celebrate the birth of Jesus and introduce people in your community to our Savior! Merry Christmas! When we talk about website, we must remember about SEO. SEO -search engine optimization. It helps your website to get high rank on Google. SEO has become an integral part of every digital marketing plan. To get high rank on Google you need to use backlinks.